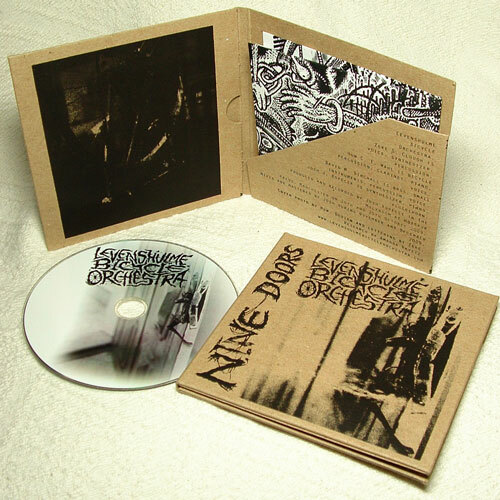 Levenshulme Bicycle Orchestra CD “nine doors” now out! Out as of today 22nd of february! 9 tracks of splendor available from www.concretemoniker.co.uk for a bargain price of £6. Covers are handscreened on to heavy weight recycled cardpackaging, insert contains a super savage collage from Zeke and lyric sheet. CD release show is this Thursday 25th February @ The Greenroom on Whitworth Street in Manchester. We’ll be performing with performance artist Ken Turner. Also superpleased that we got Karl Marx back on prime time TV with our brief burst of fame on friday eve. Hopefully the footage will get digitised sooner or later, its currently trapped in the inbetween world of VHS. Ok so sure, Karl didn’t get everything right and people may have done bad stuff in his name but I’d rather see him back on TV than more post-modern brain grinding that degrades even further our slippery grasp of history, the past and what it means to be human and alive.